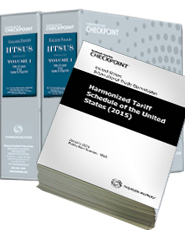 The essential government-issued import tariff manual for use in classifying imported merchandise for rates of duty, quota, restrictions, and special programs. Source material for the Customs Broker License Exam. Official classification guidelines of the trade community. Essential to the correct classification of goods.